Campsea Ashe village may not be considered to have the greatest of history when considering sport, but the archives show that sport has played an important part in the village at times. 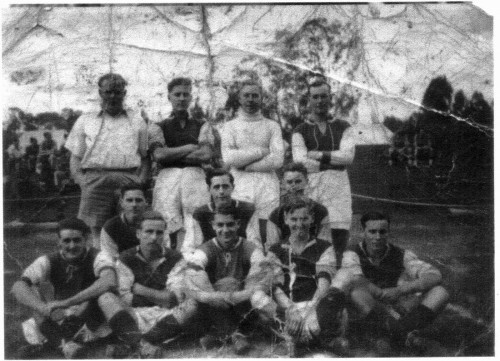 In the early part of the 20th century the local football team was reasonably successful and in 1909/10 won 14 of 19 matches played. Click here for more details. Football was played much later in the century as well - the photograph below was probably taken in the 1960s. 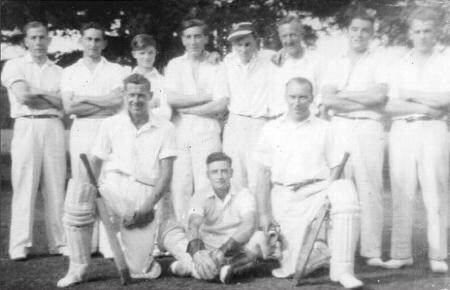 Roly Burt, a well known local character who lived in The Glen, is on the back row second left. Cricket has been played at Ashe park since the 19th century. John George Sheppard was the owner of Campsea Ashe estate in 1845 and he formed a club at Campsea Ashe. 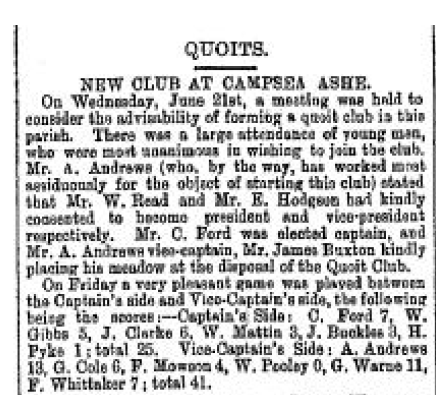 He was a friend of the founders of the I Zingari Club and invited the I Zingari to play on his newly formed cricket ground at the end of August 1845. Crowds of over 2000 watched the games apparently. For more information click here. Archdeacon Cory also enjoyed his shooting whilst he was not on duty as Rector of the Parish - see his letter in his biography.